I've noticed more people creating book lists to accomplish reading than resolutions this new year. As a writer, I'm not much of a book reader. Sitting down and relaxing with a book is hard for somebody as restless as myself to do regularly. Maybe I should change this. Here's a few reads I've decided to dedicate time this new year towards. Banned in my school before I got a chance to read it. All I know is it's some morbid child survival of the fittest type story. I dig it. Plath's only novel. An old friend let me borrow this one awhile back. Currently on my bookshelf collecting dust. Plath's poetry interests me. Therefore I'd assume I'll be hooked on this novel. The classic by Lewis Carroll has been on my list awhile now. As much of the madness I relate to, it's a must read. Honestly I'd love to read the entire Oz series. Both Oz and Wonderland look like such amazing places, yet these young girls only want home. My list consists of classics for a reason. I'd love suggestions towards more good classic reads! 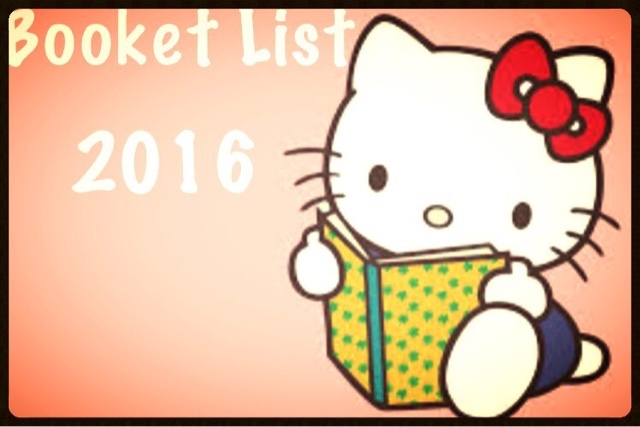 What's on your "booket" list? I highly suggest reading The Bell Jar. It's one of my favorites! If you're into historical novels I also recommend Night by Elie Wiesel. Another book I liked was Beauty Of The Broken. I have a book with all the Edgar Allen Poe poems / stories that I'm looking forward to reading this year. Enjoy your reading! Share how the Poe experience is! You can never go wrong with classic books like these. I could probably re-read Jane Austen novels over and over agin myself. I envy your ability to sit, read and enjoy. What do you write, aside from this? I get a lot of inspiration from reading other books, especially in the genres I like to write in. If you haven't read Philip Pullman's His Dark Materials trilogy yet, might want to add it to your list. They are my favourite books of all time. Depressing creative writing...cliche but ehh it's my thing haha. When I'm in a funk (almost all the time). Thanks for the tip I'll keep it in mind! Legit, The Bell Jar is my favorite book ever. I wrote a paper on it my junior year of high school and I still have said paper in my hoarding collection! Haha. 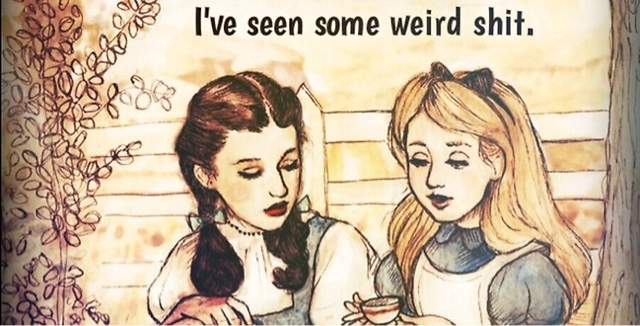 Alice in Wonderland and the Oz books are quite wonderful as well. The bell jar is definitely my next read after I finish Lord of the Flies. I'm eager to get through it so I can start the bell jar, haha. That would be an interesting book to choose for a report! I love to read. It frequently gets in the way of my writing:) I see The Bell Jar is a reoccurring theme. I've never read it. I'll have to check it out. Sylvia Plath is an amazing dark poet! 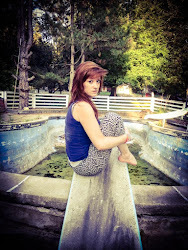 Look up her poem "Mad girls love song". One of our novels is partially a re-telling of Alice's Adventures in Wonderland, so we read the original for some inspiration. Wow, that book is weird. Like, it reads as if someone dropped some acid, had a pen shoved in their hand, and was told to just go nuts. Certainly a fun read, but much more bizarre than any of the cartoons/movies have ever portrayed. Exactly why I want to read it! My list is long. I read one book a week. I've got this special edition of The Wizard of Oz, a beautiful, annotated edition that gives you lots of background information plus it looks fantastic. Lord of the Flies is a good one. I have yet to read The Bell Jar. I should! I'll be reviewing Lord of the Flies soon! I have purchased 4 new books. One being "Go Set a Watchman" by Harper Lee. It's 20 yrs after To Kill A Mockingbird. Whaaaaat!? Is it same story connection? These are all good books! You can't go wrong with a classic. There's always something to love! Thanks Emily, hope to enjoy them all! I created a personal reading challenge that has types of books I want to read rather than specific books (that's what the TBR is for). I know I read Alice and The Wizard of Oz a long time ago. Trippy books. But good. That's actually a smart idea.